Is Rami the next Bond villain? Rumours are coming in about the next Bond villain and it's someone who you might recognise - especially if you were a big fan of Bohemian Rhapsody. Oscar-winning Rami Malek is rumoured to be taking on the role of a villain in the next James Bond film. The film hasn't got an official name yet but it is often referred to as 'Bond 25' and its working title is 'Shatterhand'. You'll probably remember Rami from the Queen inspired-film, Bohemian Rhapsody. He played the band's front man Freddie Mercury and won an Oscar for Best Actor for it. 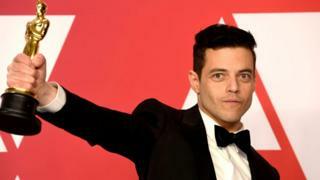 Rami had been asked earlier this year if he was going to play the villain in the next Bond film but he said he was keeping "tight lipped" about it. 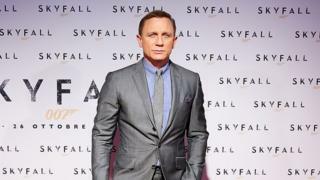 What is the new James Bond film called? Reports say that he is the final stages of sealing the deal as the next bad guy for the famous franchise. Unfortunately though, there aren't many details right now about what his character would be and the deal is still yet to be confirmed. Do you think Rami would make a good villain? Let us know in the comments! I love Rami Malek and everyone in Bohemian Rhapsody . It is such an amazing film and I love listening to all the songs.